John Flanagan is an Australian fantasy author. He lives in Sydney, Australia with his wife. His best known work is the Ranger's Apprentice novel series, which is about a boy named Will who is taken as an apprentice Ranger to the grim and mysterious Halt. Flanagan grew up in Sydney, Australia, took to writing early, and eventually caught on as an ad agency writer. Later he moved to television and with co-writer Gary Reilly created the sitcom Hey Dad..! The show was a long-running hit on Australian TV, airing over 200 episodes from 1987-94. Flanagan then turned to writing books. His 2004 medieval fantasy The Ruins of Gorlan introduced the character of Will, a 15-year-old orphan who trains to be a woodcrafty ranger and finds himself fighting to save his kingdom. The book was the first in what is now called the Ranger's Apprentice series; it was followed by The Burning Bridge (2005), The Icebound Land (2005), Oakleaf Bearers (2006; US title, The Battle for Skandia), The Sorcerer in the North (2006), and The Siege of Macindaw (2007). Booklist called the series "high adventure carried out by believable, down-to-earth heroes." Flanagan has often said that the character of Will was inspired by his own son. He told the New Zealand webzine Pulse in 2005, "I began writing a series of short stories for my 12 year old son Michael, to encourage him to read. The main character, Will, was loosely based on him, which made it more interesting for him"... Books in the Ranger's Apprentice series are published first in Australia; there is sometimes a delay before they are available in other countries. 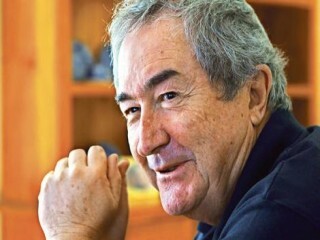 View the full website biography of John Flanagan (author).